FREE DOWNLOAD! 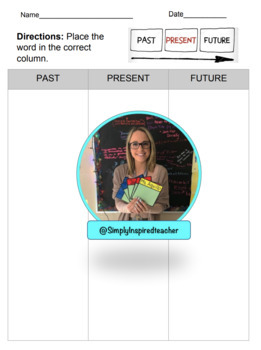 This product has three center activities for teaching Past, Present, and Future. The first Center is Past, Present and Future for words such as (Brush, Brushed, and Brushing). Students will then sort them into the correct category. 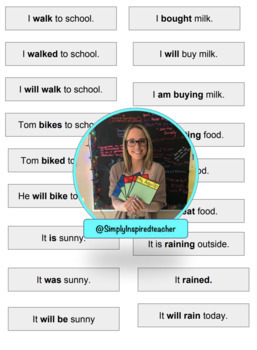 Center two is the same concept, however the students are sorting basic sentences. 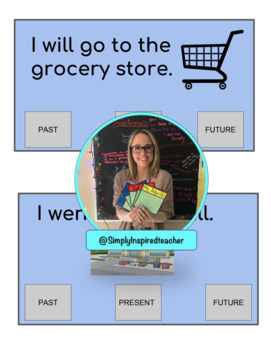 The last center is clipping (with a close pin) or circling with a marker past present and future for the specific sentence.